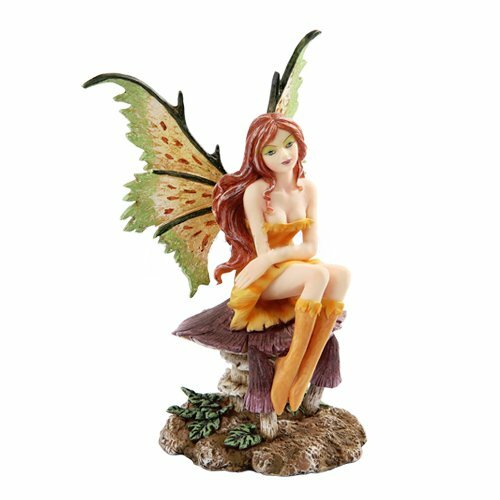 This gorgeous figurine features a fairy designed by artist Amy Brown! The pixie sits perched upon a dark mushroom. 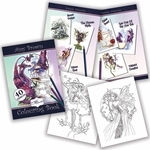 She wears a dress of sunshine yellow-orange, and her wings are done in green, pale yellow and rust. Her auburn hair flows down her back, with some tendrils to either side of her face. Beneath her toadstool seat are some dark green leaves. This collectible would make a whimsical addition to any faery fan's decor.